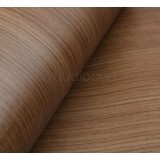 Vinyl Laminate - 2 ft. x 8 ft. - Premium S10 Overview: Tired of boring raw MDF speakers? No ma..
Vinyl Laminate - 2 ft. x 8 ft. - Premium S15 Overview: Tired of boring raw MDF speakers? No ma..
Vinyl Laminate - 2 ft. x 8 ft. - Premium S17 Overview: Tired of boring raw MDF speakers? No ma..
Vinyl Laminate - 2 ft. x 8 ft. - Premium S21 Overview: Tired of boring raw MDF speakers? No ma..
Vinyl Laminate - 2 ft. x 8 ft. - Premium S24 Overview: Tired of boring raw MDF speakers? No ma..
Vinyl Laminate - 2 ft. x 8 ft. - Premium S25 Overview: Tired of boring raw MDF speakers? No ma..
Vinyl Laminate - 2 ft. x 8 ft. - Premium S8 Overview: Tired of boring raw MDF speakers? No mat..